Maddell, J. (2015, April). 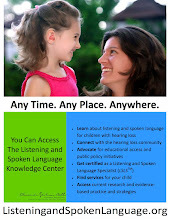 Counseling & support for children with hearing loss. AudiologyOnline, Article 13758. Retrieved from http://www.audiologyonline.com. After this course learners will be able to describe the type of support necessary for children with hearing loss being educating in mainstream settings. Dr. Jane Madell: Today we are talking about counseling and support for children with hearing loss. I have been a pediatric audiologist for almost 50 years. At the end of today’s presentation, I hope you will feel more comfortable talking to children about hearing loss, helping them describe their feelings about being a child with hearing loss in a mainstream setting, and helping children learn to advocate for themselves about issues related to hearing loss. Most children with hearing loss are educated in mainstream settings. The advantages of a mainstream setting are that children with hearing loss will have typical language models. The typical hearing children have normal developmental, academic, and social skills and the same will be expected of the children with hearing loss from other children and the school faculty. The children with hearing loss will also have a better opportunity to develop skills that will serve them as adults. The disadvantage of children in a mainstream setting is that they do not have significant contact with other children with hearing loss, and as a result, some of them may feel isolated and, if language skills are poor, have more limited social opportunities and not feel good about themselves. That is why I run support groups. What Kind of Support do Children with Hearing Loss Need? Children who are in special education settings are less isolated, but we know that their teachers may have lower expectations for them. While not applicable to every student individually, the average reading level of children who graduate from a high school for the Deaf is 4th grade. Children who are in the special education setting may need assistance dealing with people outside of this closed environment. They depend on the school program and may not be able to communicate well with people who are outside of this environment. There are two kinds of counseling: informational counseling, where we tell people facts, and support counseling, where we help them deal with emotions and feelings. I am going to touch on both of these today. Providing information about hearing loss and management, and very little information about feelings and emotions, is the basis of informational counseling. We counsel parents when the hearing loss is diagnosed. At that point, the children are too young to be counseled. But as children get older, they need the same information that we gave to their parents when their hearing loss was identified. They need to understand an audiogram, degree and type of hearing loss so they can answer questions about, so they can understand what their hearing loss means. They need to understand the effect of hearing loss on language, academics, and literacy. They need to know how to advocate for themselves, how to ask for help when they need it, and how to explain problems they are having. Social skills are dependent on language. If children have good language, they will have a much easier time socializing. In the early years, children with hearing loss usually socialize well. But, as they get older and language becomes more complex, if language is delayed they will have a much harder time communicating and socializing with their peers. As children get older and become more aware of their hearing loss, they start to feel different and they begin to resist things that can help them. They may decide they are not going to wear an FM system anymore. They may refuse to go to therapy. They may not be willing to advocate for themselves. The data shows that children with disabilities experience more bullying than other children (Carter & Spencer, 2006). We need to be aware of these things and help children recognize and deal with these issues. Most hearing loss is now identified at birth. If we move quickly to fit children with appropriate technology and enroll them in an auditory therapy program, a child’s listening age will be equal to their chronological age. Children can be fit with technology and start therapy early so that their language delays will be minimized or eliminate. That is an enormous advantage. One disadvantage that some parents see to early identification is that they have not developed a relationship with their children before they have to deal with the fact that they have a child with a disability. I can understand that, but that is not my view as an audiologist. Client-centered counseling focuses on the client and not on the test results. The diagnostic process should begin at first contact with the family. We need to try to understand the parents’ point of view and their concerns. If a baby is diagnosed at birth, parents will not have any observations yet about how the baby responds to sound. If the child is diagnosed later, parents will have a list of their experiences and observations about the way the baby hears. Parents need the opportunity to share their feelings, concerns, and distress. We need to be prepared for that and accept it. One mother I saw understood that her child had a hearing loss, but she could not move forward to put hearing aids on her child. I was concerned about the delay but there was nothing I could about it. All I could do was sit there and provide support to her and help her understand that I knew why she was struggling, but that together we would work it out. We need to give parents a chance to tell their stories and explain their feelings, and if we can provide them with support, sooner or later, they will be ready to move on. It is helpful to involve parents in the diagnostic process. When they participate and help make decisions about what a child is hearing and not hearing, that reduces their denial mechanism. They begin to see the audiologist as someone who has included them in what needs to be done. Parental satisfaction increases when parents are empowered as partners in the diagnostic process. It makes it much easier to counsel and move from point A to point B. In a school setting, I know this can be difficult, but we have to figure out a way to include parents. If we do not, parents cannot help us navigate the journey to make the children successful. We need to actively involve the family in the test protocol. Engage them as much as possible in scoring and eliciting responses. I frequently have a parent sitting in the test room next to the child. When the child repeats a word in a speech perception test that I did not hear or think may have an error, I ask the parent to tell me what they heard the child say. Having to understand and repeat what the child is saying helps them to recognize what kind of errors their child is making. In a home situation where language is less complex then in school, parents frequently do not get that there are still problems. If they participate in a test situation with the audiologist, they can understand the difficulties and what has to happen to make things better. Ideally, they can look at the results together, interpret them together, and plan for the child’s future together. When there are two parents, I encourage one parent to sit next to me on the tester side and one parent to sit with the child on the other side. I tell everyone what I am looking for. If I am testing a newborn baby, I say, “I am looking for changes in sucking.” If I am working with a child who is 6 to 36 months, I explain about a conditioned head turn. If I am working with a child who is over 36 months, I talk about the listen-and-drop test and what I am looking for. I ask the parents to look and tell me what they see. I help them to understand that if the child throws the toy in or makes a head turn when there is no sound, it is not an indication of hearing. In speech and language evaluations, it is important for parents to observe and see what kinds of difficulties the child has. Parents are often surprised in these situations, because in the home situation where everyone knows what the topics are, things are much easier to accomplish. When children get older, we need to start including children in the diagnostic process because it helps them understand the issues related to their hearing loss, and it helps them to figure out what they might do to make things better. Just like I did with the parents, I discuss why I am doing each test. I also discuss what my expectations are. Is it good enough? What is good enough? I am in the middle of making a documentary in which I interview several young people who I have known since I identified their hearing losses, who are now in their 20s and 30s. One of them talks in this documentary about how much she hated hearing tests because she did not want to face the fact that she could not ace it. It made her feel that something was wrong with her and she had a problem; she did not want to deal with it. That is true of every child we see. I think we need to help them understand that we are not doing these tests to torture them. We are trying to understand how their hearing is functioning and what kind of problems they are having so that we can fix those thing. I do not want to know how many words the child got wrong; I want to know what phonemes the child is misunderstanding so I know what settings of the hearing aid or the cochlear implant I may need to adjust. If you explain that kind of information to the children, they are better able to deal with it. We have to remember that children with hearing loss do not know what they are missing. Many of the children I interviewed for this documentary talked about that. We need to talk about how it impacts school and school activities when they are missing something how. We also have to talk about what score is a good enough score. When a child says 60% is good enough for a speech perception test, I ask if that would be good enough on a math test. I am doing this test to know how I need to modify technology settings, change the settings of the technology, and plan therapy or help the therapist plan therapy. If the child is not able to distinguish between /s/ and /t/, the therapist has to work on that. Unless I know what the particular phoneme errors are, I cannot tell either the child or the therapist what they have to work on. We need to talk about what reasonable expectations are and how children can use that information. The Listening Bubble is that concept that helps us figure out how far away a child can year you. Figure 1 at the top shows a child inside their listening bubble. Mom is sitting outside the bubble. This child does not even know that mom is talking because she is outside of his bubble. In the bottom picture of Figure 1, Mom has moved inside the bubble and now the child understands that mom is talking. He can listen to mom and figure out what is she is saying. Figure 1. The size of a child’s listening bubble is based on age, degree of hearing loss, and experience with amplification. Figure 2 shows a classroom situation. The teacher is standing near the board. The Listening Bubble encompasses the teacher and the first child. That child who is sitting close by can easily hear. The problems with noise and interference will not be a factor for that child. The speech is loud enough and the child is hearing. 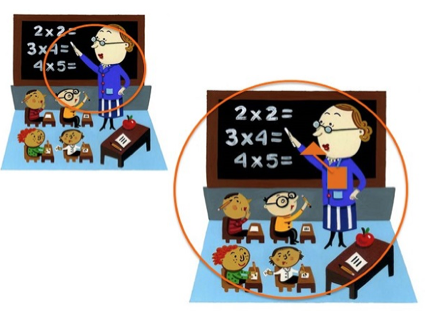 In the section situation, the teacher is wearing an FM system and all of the children are in the Listening Bubble. Figure 2. The Listening Bubble in the classroom; teacher without FM system (top) and teacher with FM system (bottom). We need to help children understand what it means to mishear or misunderstand words. Speech perception tests are usually described in percent-correct results, and for some children and parents, that is fine. For a child who does not understand, Karen Anderson suggested that we think about talking about missing puzzle pieces. If you have 12 pieces missing from a 100-piece puzzle, that tells you how much you are not understanding. On Karen’s website (http://successforkidswithhearingloss.com), there are some pictures of these puzzles, which is helpful for some children. All the decisions we make for a child are based on the parents’ choices about what they want for their child. Parents need to be educated about the choices. How do we help educate parents? We need to help parents determine what their goals are for their child. In the beginning, most parents do not know anything about hearing loss and cannot even begin to figure this out. “Where do you want your child to be when they are 5? 10? 20? 30?” What the parent says gives us information about how we can help them plan for their child. For example, if a parent says she wants her child to go to school with her siblings and the children on the block and be whatever they want to be when they grow up, we need to say, “What does it take to get there?” In order to be educated in a mainstream classroom, you need to be using listening and spoken language. If you want your child to go to college, they have a much better chance of succeeding if they are using listening in spoken language. We need to be honest when we talk about all of the differences in the possibilities for educating children with hearing loss. What are the different communication modes? What are the different educational options? They are not all the same. This is a topic for another conversation, but it is important that we are realistic about what the choices are and that we help parents understand what the different choices mean. That determines how we plan for a child. Families need to make their own decisions. “What is the goal for your child, and what does it take to get there?” We need to make sure that the decisions are the parents’ decisions and not our decisions. If we say, “You need this kind of hearing aid. Now you need a cochlear implant. Now you need to go to this educational program. Here is the therapist you need,” the message we are giving to parents is that they are not capable of making these decisions. They need to be empowered to make the decisions they need to make with educational support along the way. If we make the decisions, any successes or failures are attributed to us. If they make the decisions, they buy into figuring out what is best for that family. The family needs to learn to take responsibility for doing whatever needs to be done for a child to succeed. When children get older, we unfortunately need to try to start helping them make decisions, and that is not an easy task. We need to help children understand the effect of not hearing. “What happens when you do not hear?” “What happens when you do not hear in school?” “What happens when you do not hear in social situations?” There are both short-term and long-term consequences. “You may think it is better today not to wear a hearing aid because people will see it, and then you will feel bad about what you look like. But what do people think when you cannot answer questions?” We need to help children understand that the decisions they make have consequences. I do not believe that children are fully educated enough or wise enough to make decisions about whether they should use an FM or whether they should wear hearing aids. An 8-, 10-, or 12-year-old who is making that decision is not making it based on a full knowledge of the negative effect of not learning or on long-term goals. We need to be sure that we are helping children understand the impact of any decision they make. Martin, et al. (1987) studied what information parents get from us and what information they want from us. Professionals often provide parents more information than they need on issues related to academic information, degree of hearing loss, how the hearing aids work, et cetera. A lot of that is because we, as professionals, are comfortable giving technical information. What parents want is emotional support and contact with other families, and we are not good at that. That is something we need to think about. As clinicians, we are all faced with difficult decisions. Parents are also faced with difficult decisions. When parents cannot move ahead, we need to talk to the parents, and this is a technique that we can also use with children. “I see you are having a hard time with this. Tell me about it. What are your concerns about whether we should move you daughter from a hearing aid to a cochlear implant? What are you thinking about here?” When I said this to a mother, she said, “My child is hard of hearing. If I give her a cochlear implant, she will be deaf.” The have heard this from a number of people, but the first time I heard that from a parent, probably 15 years ago, I was thinking that her audiogram was not changing. How does this change it? For this mother, it made all the difference in the world. She could not move on, because in her view, receiving a cochlear implant made her daughter more impaired. For me, that was sad because this child was struggling so much with her hearing loss that if we made her hearing better, her life would have been easier. We need to talk to parents and to children about what they are thinking about. Ask them what information you can give them to help them think about it. What do they want to know? Frequently, they can ask you something, given the opportunity. Both parents and children will be able to ask you something that you will be able to use to answer. It will make a difference. We also need to help them understand what normal speech and language development is and what they should be hearing in the classroom. We need to listen to the parents and the children. They are stressed. Life is hard, and we need to let them explain their concerns. 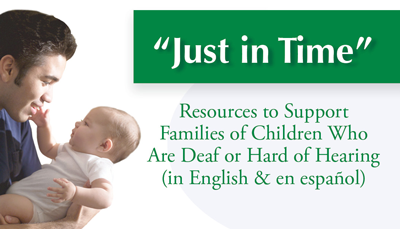 We need to arrange for support whenever it is available, counseling parent-to-parent, and child-to-child. We need to be sure we are validating their feelings because their concerns are legitimate. The advantage of parent support groups is that parents get to meet with other people who have the same concerns and who are living the same difficulties. 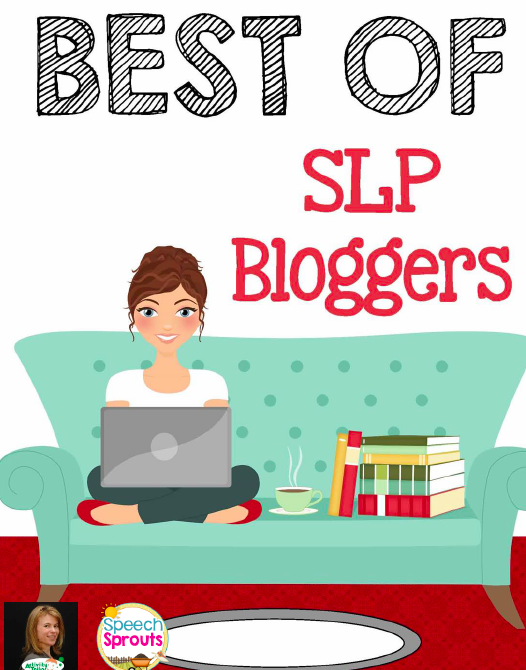 Audiologists, teachers of the deaf, and speech language pathologists think they know what is involved with living with a hearing loss, but we do not. Those of us who have been in the field for a while have heard a lot and we have some knowledge, but it is not first-hand experience like the person dealing with it. There are different kinds of groups we can run for parents, such as a newly-diagnosed parent group or topic-based groups. Some parents will not come for support for themselves, but if you can arrange a topic-based group, such as how to maximize your child’s speech and language development or information about transitioning from elementary school to middle school or middle school to high school, they feel they will get information that will help them work with their child. At the same time, they will be meeting with other families and get some support for themselves. Sometimes it is important to have a mothers’ group separate from a fathers’ group, because mothers and fathers do not all have the same needs. For the most part, mothers worry more about social and emotional development, and fathers worry about what the future will be like and what they have to do to prepare for it. Grandparents can also use a group, because they are often traumatized by having a grandchild with a disability and do not want to burden their children with questions. They need to understand what they can do to help. I had a family where the grandparents said, “When you come to my house, please do not bring your child with their hearing aids on, because we are concerned that and people will not have anything to do with this family if they see that we have this disability and our other children will not be easily able to marry.” That gives a lousy message to both the parents of the child with the hearing loss and to the child. We need to help grandparents deal with these issues as well. Siblings can also benefit from support. Siblings of children with hearing loss frequently report that they feel left out. On some level as they get older, they understand that their sibling has a disability and they need a lot of help. However, as a young child, they want their parents’ attention. We need to help parents understand that siblings need alone time with the parent, and we need to give siblings a chance to meet with other siblings so they can talk about the issues that are causing them grief. Scheduling support groups can be difficult. Parent groups can be scheduled during therapy, in the evenings, in the afternoons, or on weekends. Evening are usually the easiest time to get parents in. The groups can meet weekly, monthly or every few months, depending on your schedule and the needs of the families. Now let’s talk more directly about counseling children. We counsel the parent at the diagnosis, but then we need to start talking about the children. Children first start showing grief about having a hearing loss around eight or nine years of age. We need to address that directly. I remember a child who was eight years old, and the family was moving out of town. We did all the evaluations so they could go to the new school district and be prepared with all evaluations, and recommendations for services. At the end of the evaluation, I said to the child, “Do you have any questions for me?” He said, “When am I going to be old enough so that I do not need hearing aids anymore?” His mom and I were both stunned. It had never occurred to us that he did not understand that this was a permanent situation. It changed the way that I counseled children. Now I talk to them directly about the fact that hearing loss is permanent. We talk about how it is not fair that this is the situation, but that this is the situation. We have to do some informational counseling with children. We need to give them all the basic information about hearing loss, degree, type, causes, and their future. We need to provide them with support. We need to help them understand that their feelings are reasonable. When a child comes in after school for an evaluation, and says, “I do not want to be here. Everyone else went for pizza, and I had to come to see you.” I tell them they are right and it stinks. It is not fair. I was reminded so much of this while recording my documentary where the participants talked about not liking having to go to therapy before school or after school. Everyone else got to do fun stuff that they did not get to do. We need to recognize that and provide sympathy. That is not to say they do not have to come, but we have to let them know that we understand and we know it does not seem fair. We need to talk to children about social issues that are related to hearing loss and situations in which hearing is difficult. We need to help them understand that it is okay to ask for help and how to go about asking for help. We also have to give them permission to be angry and grieve because of their hearing loss. How do we Counsel Children? At the time of each evaluation, we should show the child the audiogram and explain it to them. They will not get it all the first time, and this is why we will repeat it. We need to show it to them, show where normal hearing and hearing loss falls on the graph, and then show them how close they are to normal hearing when using their technology. Discuss the effect of everyday listening and the effect of hearing loss on academics. “What is the difference in what you hear with and without hearing aids and with and without the FM system?” I ask families to bring the FM system when they come. They may have to borrow it from school, and I know that can be complicated, but we need to know that the FM is doing what we say it is. The child also needs to see what he hears with and without the FM in an organized noisy situation. I think we need to help them understand the effects of their hearing loss is, what that means for learning and for school, and what that means for the long-term. I ask children what they want to know about their hearing loss. Since I have started asking this, a number of children have asked, “Am I going to have this hearing loss all the time, and is it going to get worse?” We have to figure out what a child wants to know and move from there. Children may also ask about what happens if they do not wear hearing aids or when they will be old enough to not wear their hearing aids anymore. We need to discuss those issues with them honestly. If a child does not want to discuss it, that is okay as well. Unless they say, “I do not want to discuss it, but I am not going to do what I need to do to succeed”, then we need to push our way in. With today’s technology, over 80% of children with a hearing loss are educated in the mainstream. They may not have contact with other children with hearing loss, so support groups give them the opportunity to have like-minded peers who have the same difficulties and experience similar issues. They get an opportunity to say what they want to say without worrying about upsetting their parents, their classmates, or their teachers. It is a safe space. I try to do this by having a pizza party, or if you have it after school, you can have some snacks. The idea is that you want it to be a comfortable situation. I group children by age and communication mode. I recently had the opportunity to host a group where some children signed and some children used spoken language. That was difficult because their issues were not the same. Groups work best when organized for children who have the same communication mode. I include children whose ages span up to four years. Do not worry about the degree of hearing loss. I start off each group with introductions. I say, “Tell us your name, age, what grade you are in, what degree of hearing loss you have, what kind of technology you use, and your favorite activity.” This way we know something about who they are and their audiological background. Rules. I start off with some rules. Everything that is said in the room stays in that room. Everything there is safe. We respect what everyone says. Disagreements are not discouraged, but you cannot yell or belittle another person. We have to respect what everyone says. Only one person gets to talk at a time, and we go around in a circle so everyone gets a turn. If you do not understand what someone said, you have an obligation to raise your hand and ask for clarification. That serves two purposes: it helps teach children how to ask for clarification and advocate for themselves, and it also helps us to be sure they understand what that other child’s issues are so they can participate in the discussion. The last rule is that no one in required to speak. Someone may not want to speak if it is their first support group. However, by the second or third meeting, everyone wants to participate. Topics. I go around in a circle and I say, “Tell me something funny that has happened to you because you have hearing loss.” Almost always, the funny thing has to do with what the child heard when the teacher forgot to turn off the FM microphone. Then I give the children a piece of paper with five lines, and I ask them to write down five things that their families and friends know about them. Sometimes hearing loss is included and sometimes it is not. What they say about who they are is very important in helping us understand how they see themselves, which is very important for counseling. Then I ask the children to tell something from their list to the group. They do not have to read the whole list. I collect those and I use those for counseling. I ask the children if there is anything good about having a hearing loss. Children sometimes say they have been able to meet new people. Most of the time, they say it is okay, but not exactly good. Then we get to the meat of the group. What are the problems they have with hearing loss? I have the children go around in a circle, and we list the problems on a board where everyone can see what was said. First we list the problems, and then we discuss them one by one. Most children experience many of the same problems. For example, one problem is, “I have trouble hearing on the playground.” We go around and have everyone make suggestions for what we could do about that. Someone was complaining that when she has a sleepover and the lights get turned out, she can no longer hear. We came up with the suggestion that the next time she goes to a sleepover, she could bring a flashlights, one for each person. When the lights go out, they put the flashlight on their face so she gets a visual cue in addition to whatever she is hearing with her hearing aids. Everyone makes suggestions. Even if the problem does not get solved, the fact that the problem is a communal one is very helpful. Occasionally children deny that they have a hearing loss or they refuse to wear hearing aids or an FM system. With younger children, they may be picking up on a parent attitude about discomfort with hearing aids, and with older children may be related to attitudes of their peers. We need to talk to everyone about having a hearing loss and using technology, and we need to give everyone the opportunity to think about all of these issues. We need to ask children about their specific concerns; encourage both children and parents to share concerns. Discuss that everyone has difficulty hearing sometimes. Children have to believe that they are not the only people who have problems hearing. I encourage parents to say, “I am sorry, I did not hear that. Can you say it again?” so that children recognize that they are not alone. 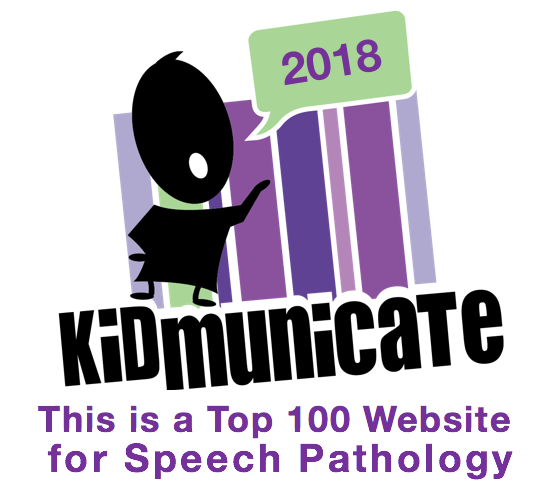 With older children and teenagers, we need to specifically discuss speech perception test results and help them understand that while they may hear well at normal conversational levels and in quiet, they may not hear well for soft speech or in competing noise. We need to test in different conditions, because parents and children need to understand what their limits are. If children see that they are doing poorly, we may be able to convince them to use an FM system. If we cannot prove to them that there is a problem, we have no reason to expect that they would use an FM system. Showing their weaknesses and how they can overcome those with technology can go a long way in convincing them that the situation can be better. With teenagers, talk about the effects of normal and soft conversational levels in quiet and in noise. Talk about the pieces of the puzzle that they are missing, the Listening Bubble, and how comprehension is more difficult with new information, which is more complex and why you need to get every bit of the message. Talk about how tired children are at the end of the day and what we can do to lessen that strain. We need to start talking to teenagers as they start rebelling about the life-long impact of hearing loss. Data shows that adults with hearing loss who wear hearing aids earn 50% more during their lives than those with hearing loss who do not wear hearing aids and try to get by (Kochkin, 2010). One study showed 30% of people in prison have hearing loss (Jacobson, Jacobson, & Crowe, 1989). Maybe not hearing and not knowing what is happening is causing people to make bad choices, and we need to talk to children about this. We need to help teenagers deal with their self-concept. Children, especially, internalize what other people say about them, but recognize that everyone does this to a degree. Children need to learn to tune out those inferior self-perceptions, and it is very hard to do. Young children are not ready to do it. Many children with hearing loss or with other disabilities have a poor self-concept, partly related to language; the better the language, the better the self-concept. If children do not have an opportunity to be social, they are not going to develop social skills. We need to make sure that they have the opportunity to develop good social rules so that they know how to communicate. The better a child hears, the better able they are to communicate, which builds a better self-concept. Some people think about self-concept and the “hearing aid effect”. Just the fact that you are wearing the hearing aid or other technology amplifies a difference between you and the people around you. If children with hearing loss have to go to therapy every day, they will have fewer opportunities to socialize. If they are shy or if their skills are not good, they will have fewer opportunities to communicate. We need to make sure that our children have the vocabulary to talk about their emotions and describe what they feel is happening to them. They have to learn to recognize both their emotions and the emotions of the people around them. That is how we communicate. Greenberg and Kusch (1993) created a social competency scale. Social competency requires good communication skills, the capacity to think independently, the capacity to be self-direct and have self-control, understanding the feelings of others, flexibility, the ability to tolerate ambiguity and frustration, and the ability to maintain healthy relationships. Children who can do those things will have good social competency. We need to be sure that we know our children have these skills, and if they do not, we need to work on improving them. We are not just audiologists. We are part of a team, even if all the team members are not located in our facility. The parents are always included as part of the team. 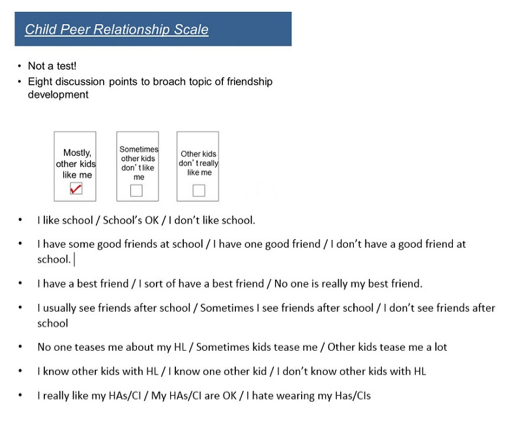 The Child Peer Relationship Scale is a good way to help get children to tell us where they stand. It is not a test, and it opens up a possibility for dialogue. Choices on this scale are listed in Figure 3. Figure 3. Questions for children to address on the Child Peer Relationship Scale. If we get children to mark which of the statements relate to them, these lead to a good starting point for discussions, both in individual sessions and in support groups. I am happy when ____________. I am sad when ______________. The thing I like most in the world is ____________. There are also two self-assessment scales for teenagers. The Self-Assessment of Communication - Adolescents (SAC-A) and Significant Other Assessment of Communication - Adolescents (SOAC-A) are also helpful in helping children to open up. Another exercise you can do in a group or individually is list the advantages and disadvantages of both hiding the fact that you have a hearing loss and acknowledging that you have a hearing loss. Let the children work those things out. It helps them come up with a plan for themselves. One 14-year-old in a group decided that she could not wear her hearing aids anymore. She did not want to be hearing impaired or have anyone else know it. Although her best friends knew that she had a hearing loss, most of the children in her class did not. When we did this exercise, the other children in the group were able to talk to her about what a ridiculous idea that was; I did not have to say a word. They were able to convince her that she needed to start wearing aids again, and she did. We need to keep the conversational door open so children know that we are hearing what they have to say. We need to encourage them to describe how they feel. We should repeat what they said so that we are sure we understood what they have said. We also need to discuss bullying, as it is a prevalent issue. We know that children with disabilities are bullied more than the average child, and the average child is bullied too much. It is important that every time we see a child that we ask them if their school has a bullying policy. “Do you know what you are supposed to do if you see someone being bullied or if you get bullied? Do you know the difference between bullying and teasing? Have you seen people be bullied? What have you done about it? Has anyone every bullied you? Tell me what happened? Have you told anyone?” We need to go through this because we are a safe place for these children. We need to give them the opportunity to talk to us. The Ida Institute has some wonderful materials. One tool is called My World. There is a home situation, a classroom situation, and an outside environment situation. There are pieces of furniture and individual people. For younger children, this is helpful for them to describe a situation that they may not want to talk about, but they can move the pieces around and explain situations that are problematic as they “play” in their simulated world. At all stages, it is important that we empower both parents and children, and help them to process all of the feelings related to living with a hearing loss. We need to involve both parents and children as we do diagnostics and help them understand the results. We need to talk to them about the Listening Bubble, how it relates to the audiogram, and how it relates to learning. We need to help both parents and children think about their goals, both short-term and long-term. We need to provide counseling for children, because they need it also. Support groups are one of the best ways to do this. For older children and teenagers, we must be testing in noise so they can understand first-hand that struggling is real. In this way, they are more likely to cooperate in doing what needs to be done. We need to give them a chance to express their feelings, and there are both positive and negative things we can say. We need to resist the urge to rescue children and families, and help them develop the skills to rescue themselves. Carter, B. B. and Spencer, V. G. (2006) The fear factor: Bullying and students with disabilities. George Mason University. International Journal of Special Education, 21(1), 11-23. Clark, J.G. & English, K. M. (2004). Counseling in audiologic practice: Helping patients and families adjust to hearing loss. Boston, MA: Allyn & Bacon. Greenberg, M. T., & Kusche, C. A. (1993). Promoting social and emotional development in deaf children: The PATHS Project. Seattle, WA: University of Washington Press. Jacobson, C.A., Jacobson, J.T., & Crowe, T.A. (1989). Hearing loss in prison inmates. Ear & Hearing, 10(3), 178-183. Kochkin, S. (2010). MarkeTrak VIII: The efficacy of hearing aids in achieving compensation equity in the workplace. Hearing Journal, 63(10), 19-26. Martin, F., George, K., O'Neal, J., & Daly, J. (1987). Audiologists' and parents' attitudes regarding counseling of families of hearing impaired children. Asha, 29(2), 27-33.